About this objectA. 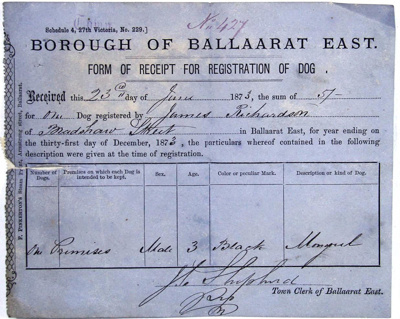 Receipt for Registration of Dog, Borough of Ballarat East No. 427 on 23 June 1873 for 5/-. B. 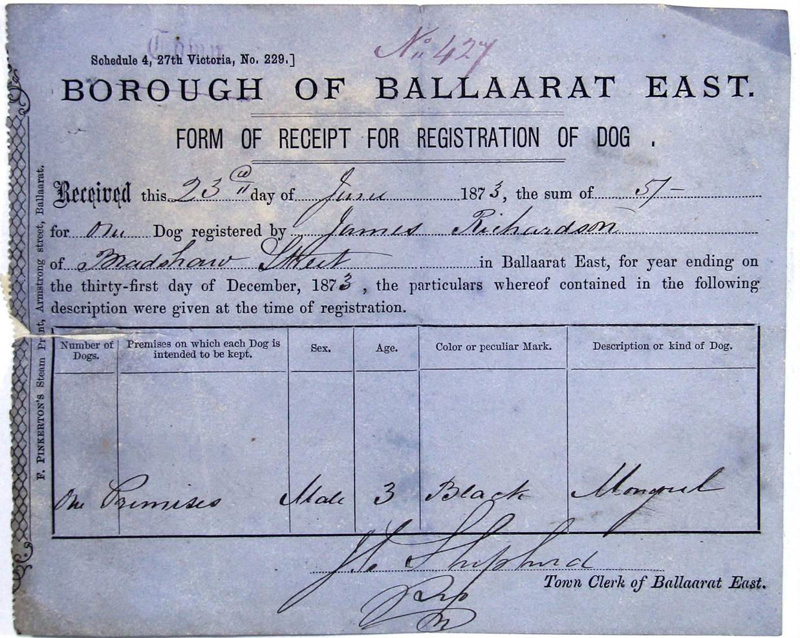 Rates Notice, Ballarat East No. 2911, September 1878. C. Receipt for Rates Paid 13 October 1878, No. 6386.